Home / Gunung padang / pyramids / Pyramids in Indonesia / Pyramids in Indonesia? It's not just Gunung Padang. Pyramids in Indonesia? It's not just Gunung Padang. Pyramids in Indonesia is probably not something you hear about every day. And I’m not just talking about Gunung Padang Pyramid either. We all know of the Great Pyramids in Egypt, the Mayan Pyramid temples across Central and South America. For anyone that is particularly keen on the subject, you’ve probably also heard of the Pyramids in China and possibly in Bosnia too. Secluded Pyramid temple in Central Java, Indonesia. Source. Here, we’ll just give you a brief rundown of the Pyramids in Indonesia. Feeling doubtful? Here are just a few! 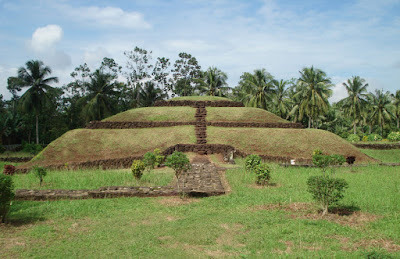 Pugung Raharjo Pyramid in South Sumatra, Indonesia. Source. Lebak Cibedug Pyramid in West Java, Indonesia. Source. 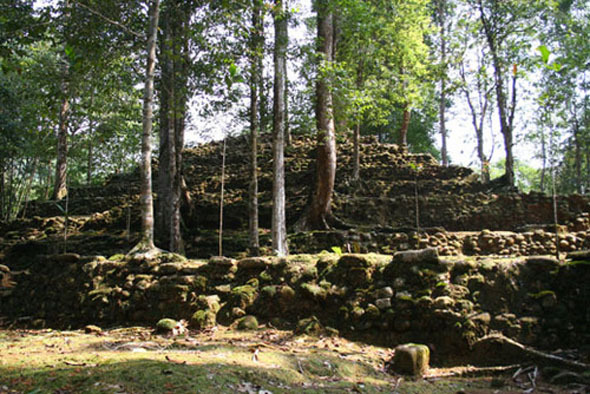 Lebak Cibedug Pyramid is so off the grid, it doesn’t even have a Wikipedia article. The ancient Indonesian Pyramid is located in Banten Province, roughly 70 km from the capital city of Jakarta. As with many Archaeological Sites in Indonesia, not much is known about this ancient structure. In fact, it is almost completely unknown, even amongst locals. 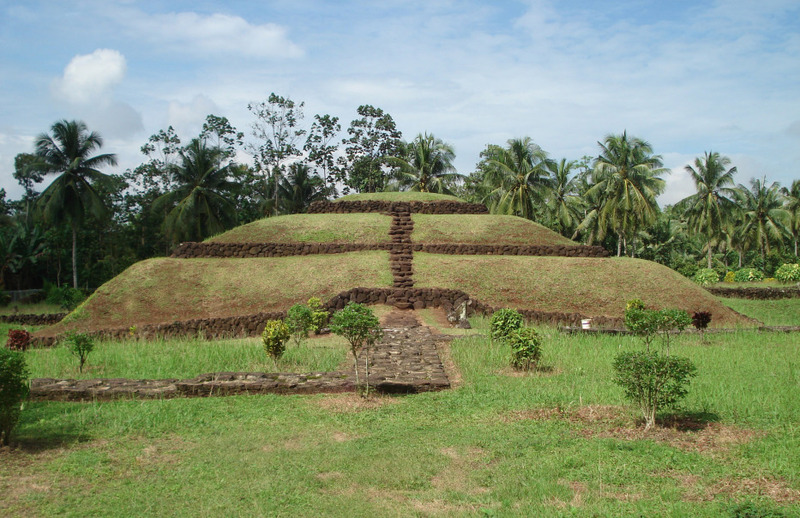 The Lebak Cibedug Pyramid was first made mention of by Dr. A.N.J Van der Hoop in his book, “Megalithic Remains in South Sumatra.” Other menhirs and megalithic ruins are also found at this site. Candi Kethek Pyramid on Mount Lawu, Central Java. Source. Candi Kethek Pyramid is just one of several temples found on the slopes of Mount Lawu in Central Java. The site was first discovered in 1842. Excavations have shown that Candi Kethek is a 15th century Hindu Temple – built in worship of Lord Vishnu. The small Pyramid temple consists of 7 terraces, each connected with a stone walkway. In 2005, researchers discovered a statue of a turtle at the base of Candi Kethek, confirming its tribute to Lord Vishnu. Candi Sukuh Pyramid, Central Java, Indonesia. Source. Candi Sukuh Pyramid is a much better known archaeological site, compared to the others mentioned so far. This one actually has a Wiki article in English about it! The Pyramid temple is also located on Mount Lawu, roughly 10 km from Candi Kethek. 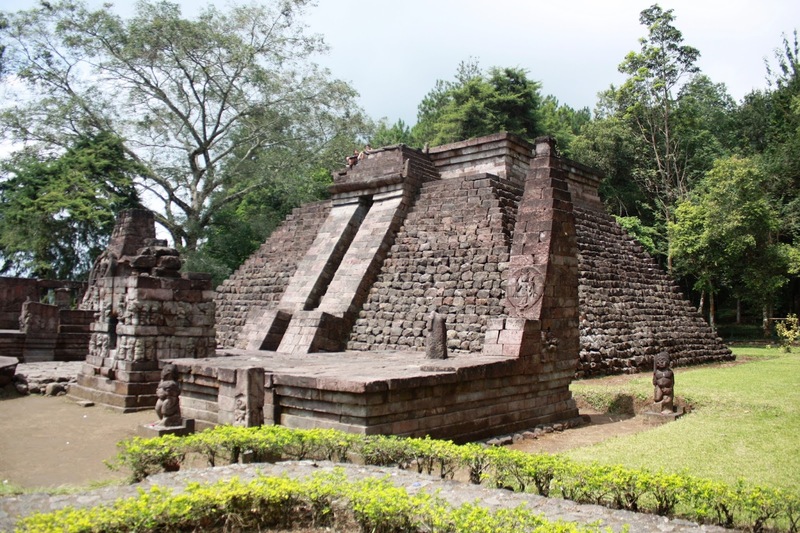 Despite its uncanny similarity to South American and Maya Pyramids, Candi Kethek is a Javanese-Hindu Temple. Candi Sukuh is saturated with carvings of Lingga and Yoni, (polite words for something else.) This includes a 1.82 meter tall phallus, which has been relocated to the National Museum of Indonesia. The simple Pyramid was first discovered (this time around) by Sir Stamford Raffles in 1815. The site was likely abandoned during the rise of Islam in Indonesia during the 17th and 18th centuries. From the top of Gunung Padang in Cianjur, Indonesia. Gunung Padang Pyramid is likely the only Pyramid in Indonesia that has made international news. Although it was first discovered over 100 years ago, the Ancient archaeological site was originally thought to be a megalithic site on top of a hill. Only in 2010 was it discovered that the hill housed an enormous, megalithic structure. The site consists of 5 terraces, ascending approximately 95 meters. 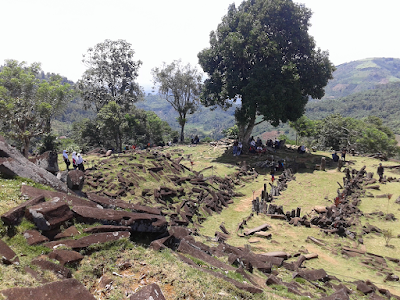 The majority of the Gunung Padang site remains buried underground.